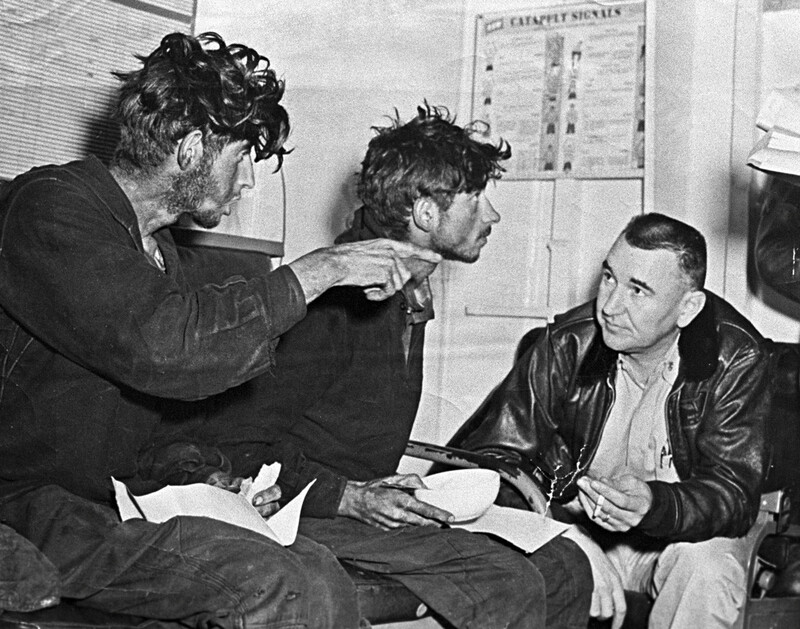 Almost 60 years ago, four Soviet servicemen drifted in the Pacific Ocean with almost no food and hope. While it was the height of the Cold War, they were saved by a U.S. aircraft carrier. 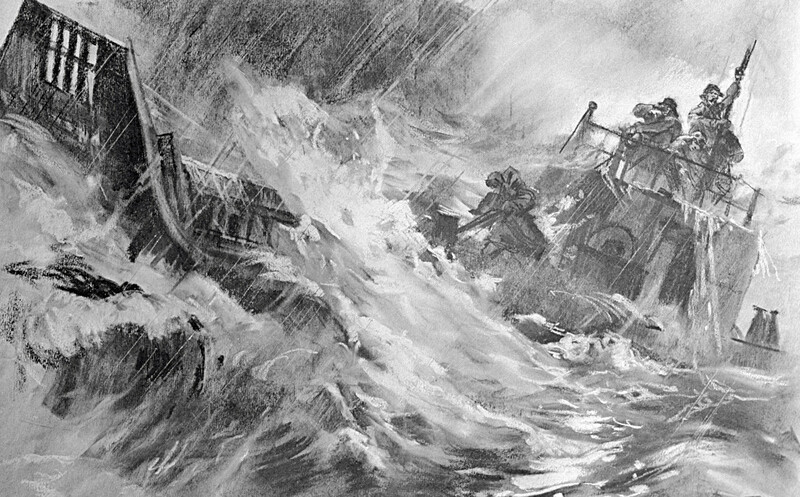 “About 9 a.m. the storm became stronger, the wire rope broke and the barge headed towards the rocks… The ship was drawn into the open sea. I was told that we had three ours of fuel left, and so I decided to run the barge aground. It was risky, but there was no other choice. The first attempt failed – we hit the rock… We nearly crashed, but managed to pass the rocks, although a hole opened up and water started to pour into the engine-room. Behind the rocks, a sandy beach was already visible and I navigated the vessel towards it. We almost reached it – the barge scrapped the bottom – but then it turned out that there was no more fuel; the engines stalled and the vessel was taken to the open sea...” (in Russian). 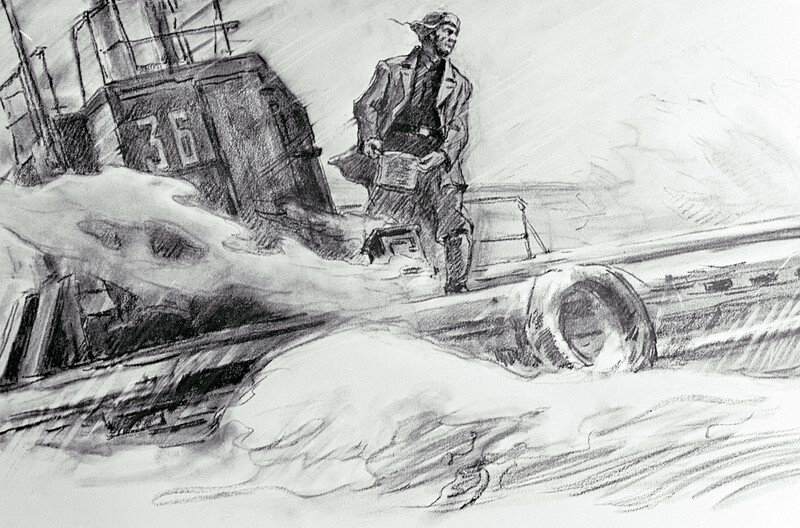 That’s how Sergeant Askhat Ziganshin recalled the start of their 49-day odyssey on Jan. 17, 1960 off the coast of one of the Kuril Islands at the time of the unloading of a cargo ship. Four servicemen from Construction Corps - Ziganshin, Fillipp Poplavsky, Anatoly Kruchkovsky and Ivan Fedotov – were on the small barge that drifted almost 1,500 miles. Their radio was broke, but they managed to fix the hole quickly. Still, there was a much more serious problem – almost no food. All that was left was a loaf of bread, some peas and millet, a bucket of potatoes and a jar with adipose. There was also some water, but it was for cooling the engines, and not surprisingly there was some rust in it. Quickly they realized that they’d not soon be found. Ziganshin found a newspaper that said the area where they were had been closed for ships because missile testing was planned there. The four started to ration food. At first, they ate once a day – each had a cup of soup. They prepared it using a couple of potatoes and a spoon of fat. Three times per day they drank a little water. By Feb. 23, however, the food was gone. They tried to catch some fish, but no fish were to be seen. Sharks, however, were circling. So, the four boiled and ate their leather boots and belts, as well as the leather parts of an accordion. In the end, their bodies weakened and hallucinations set in. The most remarkable thing, however, was the fact that in those terrible conditions they managed to keep high morale. “There was no panic or depression until the very end. Later, a mechanic on the Queen Mary that brought us from the U.S. to Europe told me that he had been in a similar situation: after a strong storm his ship’s radio didn’t work for two weeks. Of the 30 crew members a few died, but not because of hunger. Instead, it was due to fear and constant fighting for food and water…” recalled Ziganshin. Nothing like this took place on barge T-36. They divided their supplies equally and didn’t try to get any advantages at the expense of the others. By March 7 they only had half a kettle of fresh water, one leather boot and three matches left … Fortunately, they were found by the U.S. Navy aircraft carrier, Kearsarge. At first, the Soviet servicemen did not want to leave the barge, instead asking the Americans to supply them with the necessary fuel and food. They changed their minds, however, and went onboard. After they ate, they fell asleep and kept sleeping for several days. But when they woke they became scared, realizing that they had lost their barge and were on an American vessel. They feared being declared deserters upon returning home. Their worries, however, proved to be in vain. Soon, one of the main Soviet newspapers published an article about them, “Stronger than Death.” They were heroes both in the USSR and in the U.S. 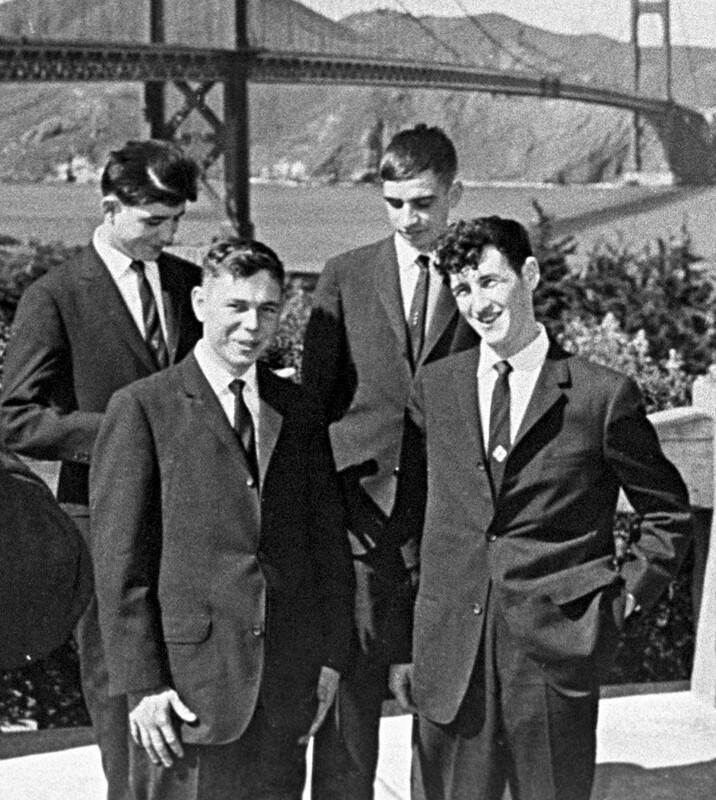 They received a heroes’ welcome in San Francisco (the mayor gave them a symbolic key from the city), as well as in New York. In Moscow, they were received by the Minister of Defense, and had endless meetings in different places. Their faces were on every newspaper or magazine cover. There were songs written about their ordeal, and one was composed by the popular poet and singer, Vladimir Vysotsky. The folk song, “Ziganshin-boogie,” had the words: “Ziganshin ate his second boot.” They also made a movie about the ordeal. 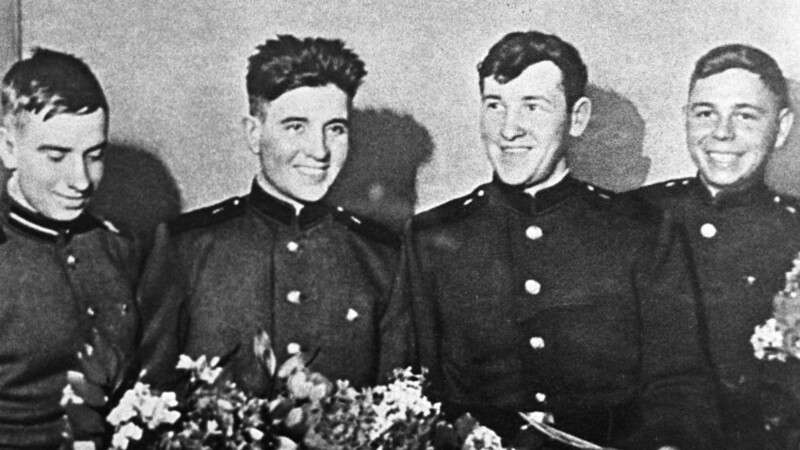 The men were true national heroes, and this continued until Gagarin’s space flight in April the following year. The fame of the first man in space overshadowed the hardships of the four soldiers. 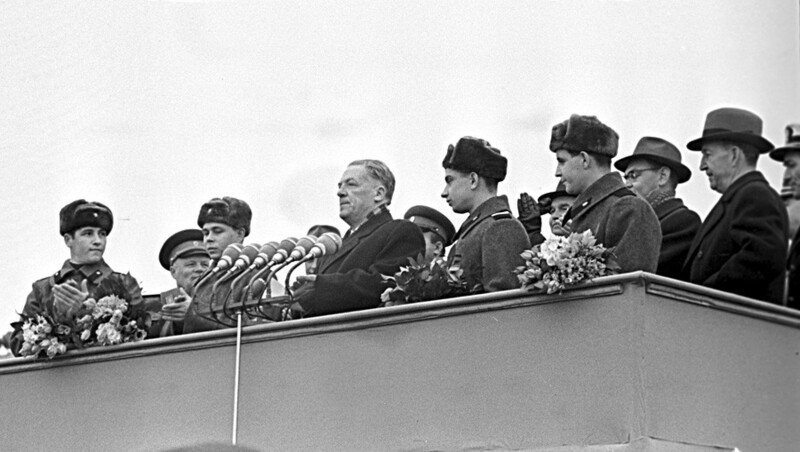 How could Soviet citizens overcome the Iron Curtain during the Cold War?